The USA has deployed Predator drones to hunt for Al Qaeda operatives in Yemen for the first time in years but has not fired missiles from the UAV yet because it lacks solid intelligence on the insurgents’ whereabouts, Washington Post reported on Sunday 11/07/2010. According to some sources the drones were based in the Red Sea port town of Hodeira. The use of the UAVs is part of a campaign against an Al-Qaeda in the Arabian Peninsula – AQAP that has claimed responsibility for the Mailed Bombs Plot, which could have had catastrophic results. 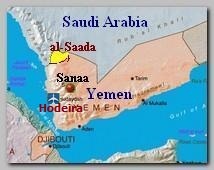 USA officials said the Predators have been patrolling the skies over Yemen for several months in search of leaders and operatives of AQAP after withstanding a flurry of attacks involving Yemeni forces and USA cruise missiles earlier this year, AQAP’s leaders “went to ground,” a senior Obama administration official said. Yemeni officials said the USA had not yet pushed for the use of Predator-fired missiles and indicated that they had deep reservations about weapons they said could prove counterproductive. Instead, Yemen has asked the administration to speed up shipment of promised helicopters and other equipment for its own use, and to recognize the backlash that a more visible USA campaign could cause. A U.S. defense official said plans were being made to nearly double military aid, to $250 million, in 2011. Senior administration officials said that cooperation with Yemeni President Ali Abdullah Saleh has intensified in the aftermath of the Mailed Bombs Plot and that the subsequent shutdown of commercial and cargo flights from Yemen focused the government’s attention on the cost of AQAP’s presence in the country. USA officials described a major buildup of intelligence and lethal assets already underway, including the arrival of additional CIA teams and up to 100 Special Operations force trainers, and the deployment of sophisticated surveillance and electronic eavesdropping systems operated by spy services including the National Security Agency. The pace of UAV drone attacks in Pakistan’s FATA tribal belt has escalated sharply over the past several months, an increase that has matched the intensified USA war effort against the Taliban in neighboring Afghanistan. CIA strikes there are aimed not only at top Al Qaeda figures in Pakistan but at Taliban groups that use safe havens there to attack USA troops across the border.